I'd like to share with you a playlist from Disney Channel France's YouTube channel. 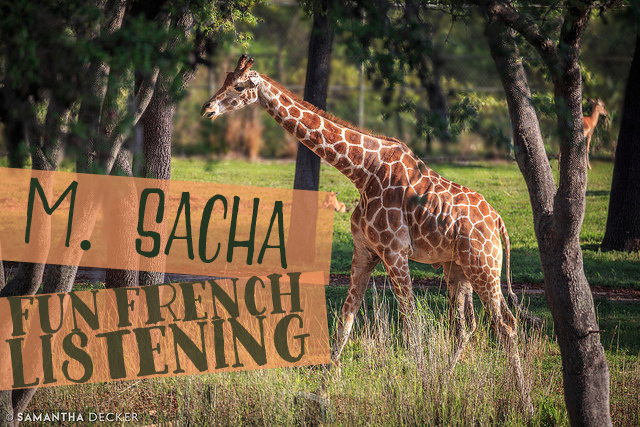 It's about a giraffe called Monsieur Sacha, and it's got a little something for everyone. These short to medium length videos are great for listening activities. "Une journée avec Monsieur Sacha" is great for reinforcing time and daily activities, "Monsieur Sacha est à nouveau papa" and "Tel père, tel fils" are great for reinforcing family and adjectives," and the longer videos are suitable for upper level students. 3. Le déjeuner (le buffet) ? My questions here are really more about memorizing what they saw in the video than having to produce the vocabulary, but I liked having them listen to the vocabulary in an authentic context. What might you do with these videos? Thanks for posting these videos. Finding content -- particularly authentic content -- can be a challenge and these are fun to watch (who doesn't love animal videos?). The vocab, particularly for the food-related video I watched could be easily integrated into a unit on food and could be tied to a piece on French culture. Thank you for sharing this post. I didn't know that Disney Channel France had it's own Youtube channel but I think that this would be a great resource for various other activities. 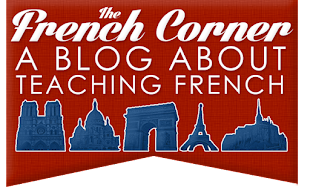 I never liked French listening activities and we often had "dictées" where our teacher would read out a sentence and we had to copy it down, word for word. I like how the students have to listen and watch and then answer questions. The students really have to pay attention to learn from this activity. 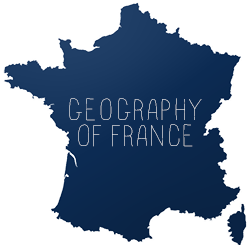 I also like how there are different lengths of the videos for students with a stronger French background. I think the video was also great as you see the animal in it's natural environment. As an addition to this activity I would even get the students to write out their own questions about the video and have other students in the class answer them (that would mean less work for you, also). In my French class we watched a music video by Kids United and our instructor handed out worksheets with a verb and a picture on it. Each time we saw that verb in the video we had to circle it. I thought these activities were similar in that we had to watch a video where had to pay close attention to either the visuals or the vocabulary in it. Simran, Thanks for your feedback and ideas! Thank you for sharing these videos. As a student teacher, finding resources which are authentic and engaging to students is often difficult. I like that the activities can be used for active listening, vocabulary and listening comprehension exercises while being cute and engaging. I am looking forward to an opportunity to use these.